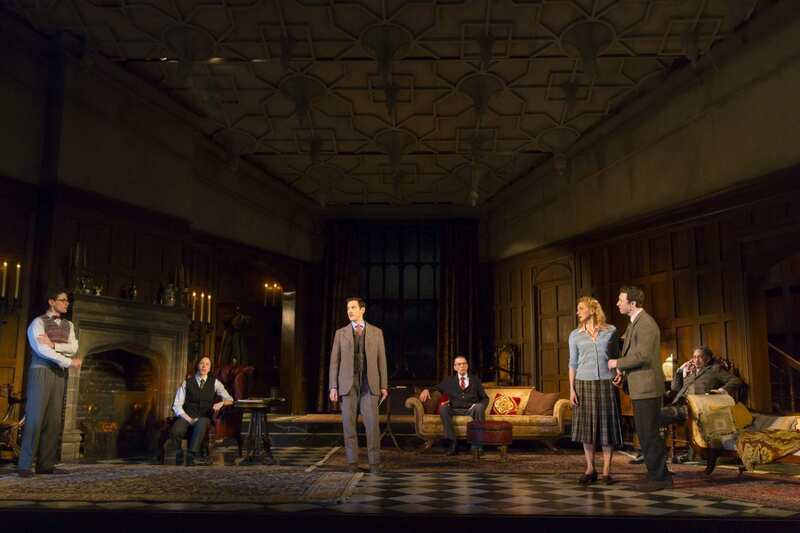 On stage until March 27 at Princeton’s McCarter Theatre is a high-style production of Agatha Christie’s redoubtable mystery, The Mousetrap, running continuously in London’s West End since 1952. 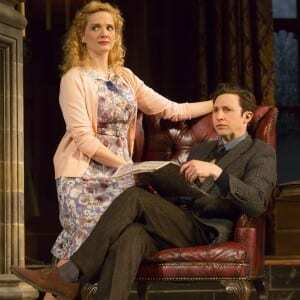 The play takes place at Monkswell Manor, the English country home of Millie and Giles Ralston, during a blizzard of no-one-can-get-here and no-one-can-leave proportions. The Ralstons have recently converted the Manor into a guest house and nervously await their first paying visitors. Based on tragic real life events, Christie’s plot concerns a trio of siblings sent from London to the countryside during the Blitz. Instead of finding a safe haven, they were criminally maltreated, and one died. Though the foster parents went to prison and the father died there, the mother was recently released. The day the play’s action begins, she’s been found murdered. Her murder is presented as a shadow play from behind a Kabuki drop. Found on the murder scene is a notebook with two addresses, those of the murdered woman and Monkswell Manor, and the words “Three Blind Mice.” A note pinned to the dead woman’s body says, “This is the first.” A police detective sergeant arrives at the Manor—on skis—to warn them and to prevent another murder, or two. It’s been years since I’d seen this play and had forgotten how the plot unravels, so enjoyed it anew. The energetic cast skillfully deploys Dame Agatha’s classic “look over here” techniques, so that before long, none of the five guests nor their hosts seem innocent. What’s more, they are all equally plausible potential victims. Under the expert direction of Adam Immerwahr, the cast exults in the exaggerated potential of the characters—the effeminate faux-architect Christopher Wren (played by Andy Phelan), the playfully sadistic Mr. Paravicini (Thom Sesma), the all-business Miss Casewell (Emily Young), and the frazzled Ralstons (Jessica Bedford and Adam Green). Sandra Shipley plays the exasperated Mrs. Boyle, severely disappointed that Monkswell Manor has no staff, Graeme Malcolm is the laconic Major Metcalf, and Richard Gallagher is Detective Sergeant Trotter, trying valiantly to gain the household’s cooperation in his investigation. Immerwahr says that theater audiences usually sit back and let a play’s messages come to them, but what’s exciting about staging a mystery is that the audience leans in, trying to be ahead of the reveals and the resolution. Alexander Dodge designed the gorgeous sets, realized by McCarter’s in-house production department under the direction of David York. 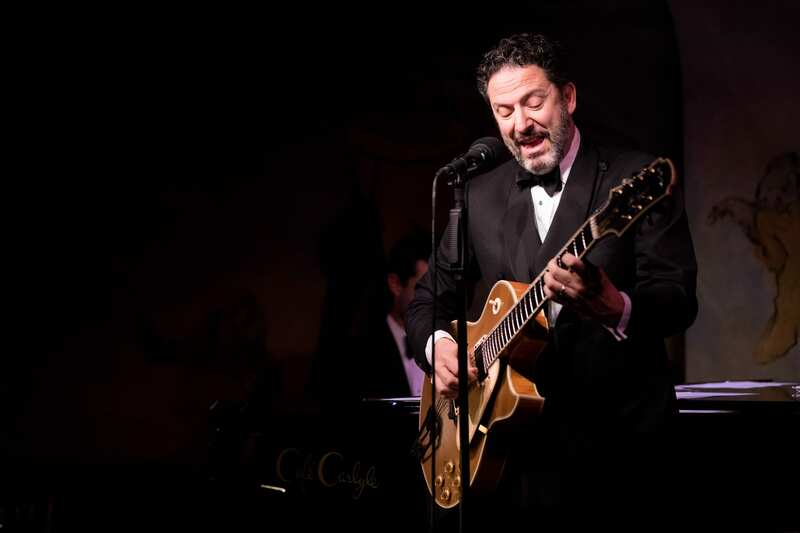 Sound designer Nick Kourtides filled it with some 700 sound cues in all. Other production credits: Jess Goldstein (costumes), Philip Rosenberg (lighting design), and Gillian Lane-Plescia (dialect coach). It takes a lot of stage snow (and a few fans) to keep the snowstorm going for a full half-hour. But if characters came in with stage snow on their coats and hair, it would remain. Immerwahr wanted more realism, so the snow dusting the cast is actual snow (rescued from the Princeton University skating rink’s Zamboni). It melts. And the put-upon innkeepers mop up the floor with towels periodically, too.